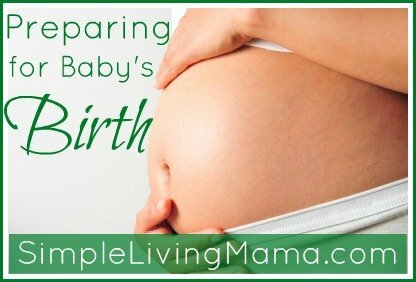 Preparing for Baby’s Birth – New Series! I’m so excited to announce that Simple Living Mama is running its first series! The third trimester is upon me and I thought it would be nice for me to share the ways that I prepare for the births of my babies during the last few months. This is my third time around and I feel like I have a bit of a system that works for me! I hope you will stick around and join me as I discuss the things that I’m doing to prepare for the birth of my third little baby. I would also love to hear from you and find out what you do to prepare for you babies’ births. We can all learn from each other! This series will begin on August 6th and run every Monday of the month of August! You can subscribe to get updates right in your email inbox, or follow me on Facebook or Twitter!